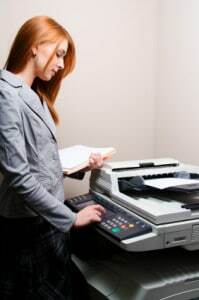 Not every business needs the biggest, and baddest machine to meet their office printing and copying needs. The best thing you can do is find the right combination of outstanding print quality, unparalleled simplicity, and dependability in a size that fits your business. Luckily, that’s exactly what you get with the Xerox WorkCentre 6505. The WorkCentre 6505 is the right solution for today’s pace of business. It is a color multifunction printer that can really give you true colors the easy way. It’s simple to use, and delivers great performance time and again. The small size is perfect for single users, or small workgroups, while proving the power used by bigger businesses. When you work with the WorkCentre 6505 you can be sure that your presentations will be sure to catch your audience’s eye. Colors come out crisp and defined every time. You can even save some money thanks to automatic 2-sided printing and toner only cartridges that waste 80% less than comparable color devices. Give us a call today if you are interested in getting a Xerox WorkCentre 6505 for your business today.